You too can be famous! 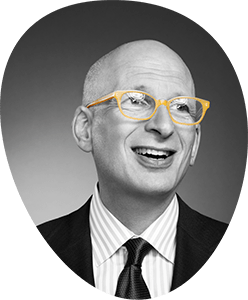 As a shameless promotion for my new book (Link: Seth Godin – Liar’s Blog) I’m promising to post your picture and your story here on my highly trafficked blog. Once a week I’ll pick the best submitted photo and story and post it, together with a link to your website. All you need to do is send me a picture wearing the special liar’s nose. Don’t have a liar’s nose? Don’t worry! I just got a case of them. Send me $5 plus a self addressed stamped envelope (Seth Godin, Box 305, Irvington, NY 10533) and I’ll send you back your very own nose. (While supplies last, void where prohibited, your mileage may vary). I don’t expect to turn a profit here, but if I do, all proceeds will go to roomtoread.org. Think of the fame. The traffic. The groupies. Tell me about the stories you tell, the lies your customers want to believe and how you’re making things happen. No promises, naturally, except that your nose is 100% virgin latex and you can get your money back if you don’t like it.